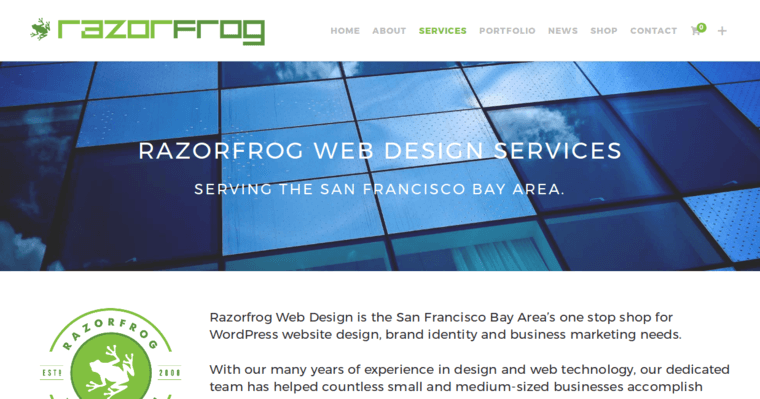 Launched in 2008, Razorfrog is a brand identity, marketing and web design agency in San Francisco that specializes in the development of WordPress websites. They offer customized solutions that include responsive web design, eCommerce and photography, all focused on boosting customer engagement. Their responsive web designs function on all devices, including desktops, laptops, tablets and smartphones. 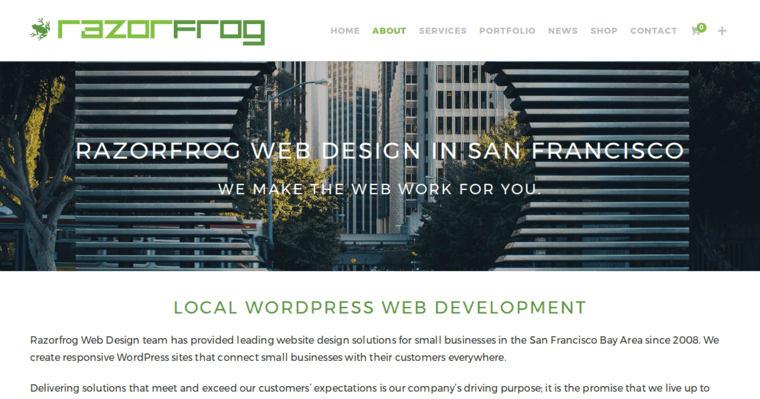 Razorfrog has developed websites for clients across industries, including real estate, fashion, healthcare and nonprofits. The range of their services includes logo solutions, style guides, print collateral, premium business cards, letterhead and flyers. Committed to meeting the varied needs of their clients, Razorfrog offers copywriting, content editing and website planning. They also provide customized SEO campaigns to improve your search rankings and conversion rates. 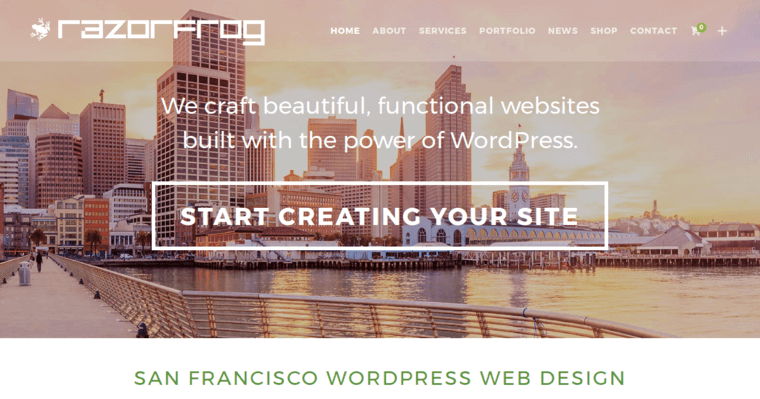 Earning more than fifty five-star Yelp reviews, Razorfrog is valued by their clients for quality service, attractive web designs and tremendous results that delight clients and exceed performance targets.